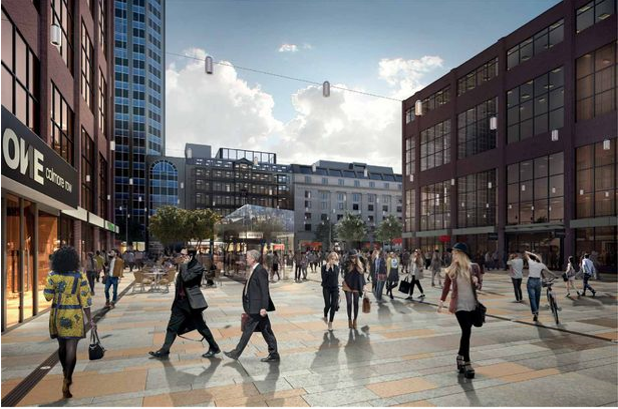 As part of a number of improvements to the Snow Hill area, the £10M redevelopment of Snow Hill square will greatly improve one of Birmingham’s main gateways for visitors arriving at the famous railway station. The new square will feature an iconic glass pavilion entrance to a new underground restaurant at One Colmore Row. For the proposed glass pavilion and sub-terranean restaurant, Fellows provided pre-contract cost management services, helping Shaylor Group to appropriately review all of the key cost and risk considerations associated with the proposed design. In providing this cost management advice, Fellows were able to draw on their past experience and expertise working on refurbishment and conversion schemes, to also provide potential value management savings, helping to ensure that maximum value was achieved from the project budget.